Video Game • From a little-known Finnish video game developer comes this visual gem that may be one of the most gorgeous games this year. 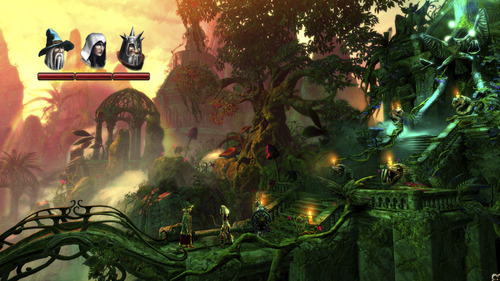 "Trine 2" (PC, Mac, PlayStation 3, Xbox 360) is a side-scrolling adventure in which the player controls either a wizard, an archer or a knight as you traverse a lush fantasy backdrop. Not just an exercise in mindless combat, each level also involves unraveling puzzles in order to move on to the next room. You'll get the best graphics on the PC or Mac, but the downside is frustrating controls with a keyboard. No matter. 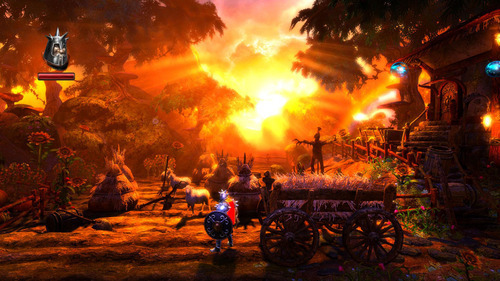 While traversing the wonderful world of "Trine 2" with its colorful and magical setting, you may not notice anything else.